By now we all have realized that we reached the post-PC era – but it’s not only mobile we are talking about here, it’s merely a multi-device world. And one category that seems to evolve more and more is the TV. But even more than in the mobile world we are currently facing a vast amount of platforms which makes it somehow hard to predict where the journey goes. Samsung, Sony and all the other manufacturers have their own user interfaces which are basic at best. They do provide apps but resources for developers are limited and spare. The weakest point here is the input. The standard remote control makes it cumbersome to enter texts and bluetooth keyboards are expensive. The use of smartphones or tablets is perhaps the best option. But a unified solution is also missing. Google TV could have the potential to be a viable solution. Based on its own popular Android platform there’s a good chance that it could gain a significant distribution. So far only Sony seems to support the platform officially. The website provides few information on when we can expect the experience on a larger scale. Also Ubuntu, the most user-friendly Linux distribution, entered the stage with its new multi-device strategy. Ubuntu for TV promises to “bridging the gap between manufacturers and the content industry”. What’s interesting here is that it will apparently stream content with any other device, whether it runs Windows, iOS or Android. Then there are projects like OUYA that also provide streaming functionality and multimedia features for TV. But it can be doubted that there will be a significant focus on web browsing. Apple is the big missing link in this game. There have been rumors that they are working on a TV platform but yet no significant signs occurred that we will be seeing an ‘iTV’ any time soon. But it would definitely make sense. iOS has shown us how good they are at developing a user interface that’s simple and intuitive. There is an interesting thread here on Quora also concluding that we are yet at the beginning of the smart TV evolution. And what about browsers? Except for Google TV which comes with a special version of Chrome the other vendors use some Webkit-based browser or Opera. HTML5 and CSS3 seem to be supported quite good. Sample Apps and SDKs can be downloaded from the respective sites. 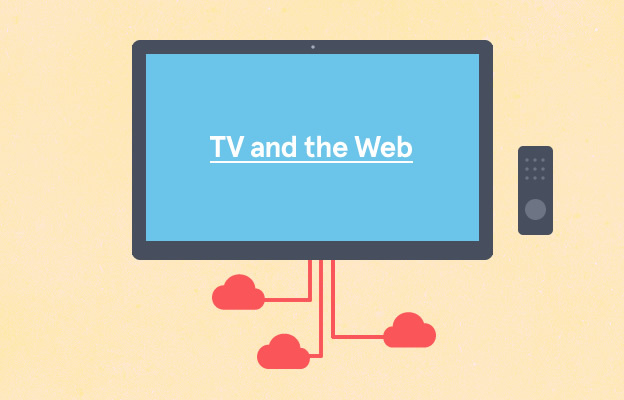 Optimizing websites for TVs will definitely become more important in the future. The viewing distance demands for some special treatment just as for mobile devices. Google provides some useful information on designing websites for TV here.